A new, irregular column where we remember ideas in music and technology whose time has come…and passed. We’ve been wanting to do this column for quite some time. Some brilliant journalist at the BBC just gave us the excuse we needed – they asked a 13 year old to compare a Walkman with an iPod. The article is great (“It took me three days to figure out that there was another side to the tape”) and well worth checking out. We wont repeat it here. But how about the Walkman then? 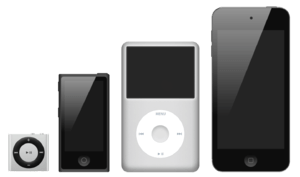 It does share one very important similarity with the iPod – it became so ubiquitous that the brand name became the product name. Just as people call most mp3 players ‘iPods‘, most portable cassette players are “Walkmans“, despite it being the name of Sony’s version of the ‘Personal Stereo’. The one from our youth was an Aiwa. That BBC article uses a very old version of the Walkman. 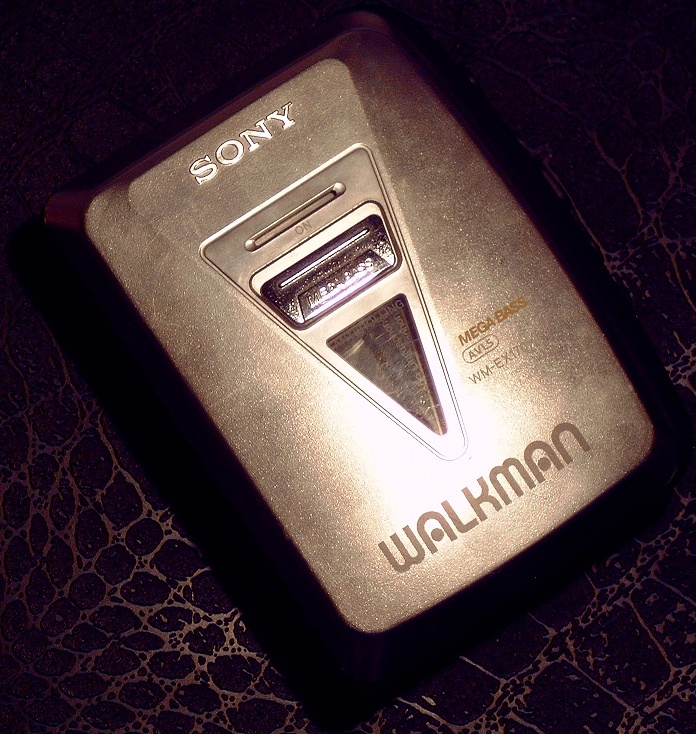 By the time it was in it’s last years, the Walkman looked pretty cool – and still does today. Check out the WM-EX170 as an example. And there were plenty of pretty colours as well, and lots of great designs. The most groundbreaking thing about the Walkman was not the Walkman itself. Sony also pioneered the headphone buds, getting rid of the big ear enclosures. We have a pair of those things in our ears right now. These new lightweight, portable headphones were sold with the Walkmans (seems so obvious now), making them instantly accessible. So in 1979, Sony Japan released it’s masterpiece. Although it wasn’t an immediate hit, it caught on and 50 million were sold by Sony alone in ten years. Suitcase record players and boom boxes aside, the Walkman was a truly portable music player. Later versions easily fit in a pocket, or at least a school bag. It opened up new possibilities for this format called the cassette. It was also sturdy – people could and did jog with Walkmans. Sure, it doesn’t fit the same number of songs, and other silly points. But how we used the Walkman is pretty similar to how we use the iPod today. Casual portable listening. And hey, our (Aiwa) Walkman could record. That durability didn’t last into the iteration – the Discman. That spinning CD just couldn’t handle bumps. The Walkman continues as a brand. It’s Sony’s line of mp3 players. It’s one of the most popular mp3 players in the world after the iPod, iPhones, Zunes, Creative ZEN, Sandisk and about 10 others. It’s a good idea to reuse the name, but a Walkman will always be about cassettes for us. A great history and museum of Walkmans can be found at Pocket Calculator – http://www.pocketcalculatorshow.com/walkman/history.html. Well worth a read, if only to see how tough it was to sell the name ‘Walkman’ outside of Japan. It’s May and we are starting to get rumours of this year’s iPods. For the last few years without fail, Apple has unveiled a new range of iPods in September. And every year, Apple fanatics try to piece together leaked tips from inside the Apple bubble and predict what is coming. Generally, it is considered Apple’s ’08 refresh was a disappointment. The year before they launched the game-changing iPod Touch. 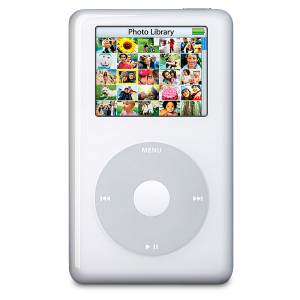 They also made a 160GB iPod classic with a new interface, making the core device pretty much untouchable. Nanos and the Shuffle continued strong. Last year’s addition of the Genius function and a new shape for the Nano failed to set the world alight. The first rumours we are hearing is from Macrumours. The addition of a camera in the iPod Touch and maybe even the Nano. 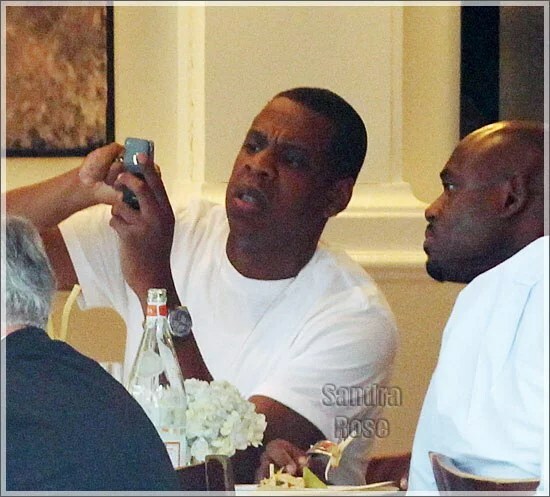 It seems pretty certain that the new iPhones will have VIDEO camera capabilities. This could be a cool new feature in the iPod product line. The other rumour is the rainbow range of colours across all lines. We’re not sure it’s a big enough change to impress the world at large. But then again, what is? The iPod works so well – the fact that it just works is one of the reasons it’s the best in the business. What we would like to see? The classic/nano interface could be vastly improved. Better cataloging for video and podcasts. We see the thousands of new features for the new iPhone and we wonder if the iPod is being left behind. We hope not. Microsoft is really gunning for Apple. And their weapon of choice is price. It’s almost scare tactics. A series of ‘Laptop Hunter’ ads have been floating around, pitting PC laptops against Macs. Now, the fight is being taken to the Ipod/Zune arena. Some crazy accounting here. I like how this guy, ‘Wes Moss’, is a certified financial planner. OK. Let’s stop here. This is not a Microsoft bash. Although – they make it so easy. Our problem is that this ad, and Microsoft‘s whole schtick at the moment, is misleading. This whole price, price, price scare is – well, scary. Putting on some dude from the Apprentice as a Financial planner, playing into families fears of the economy to stomp their wares. It reminds me of when politicians yell higher taxes into the sky in hopes of making people vote with their wallets. And the mathematics just ain’t true. In dire economic times, does anyone want to add a new monthly bill to the burden? Who doesn’t already carry at least some music library with them? Don’t I need a new, not terribly cheap Zune to take advantage of this? And once I cancel my subscription, I can only keep 10 tracks a month. As Zune only reaches Canada and the US, if a customer moves, they have lost most of their library and have paid far more than a buck a song. Zune is not here in Europe yet and everyone knows why. They are already struggling at home, and they don’t have what it takes to get out into the world. They really have to lift their game if they want to survive. Prince has come along way in the last decade. Having left WB records, he fell off the radar after tattooing the word ‘Slave’ to his face, and recording mediocre albums like ‘Rave Un2 the Joy Fantastic‘. Two years ago he made a triumphant return with 21 nights at London’s O2. He sold his albums with newspapers, gave them away with show tickets and even released a 3CD, with the wonderfully silly name LOtUSFLOW3R as a Target exclusive in the US. He also sued Youtube before anyone else. Embracing technology and new ways of getting his music out there, he is becoming what David Bowie was ten years ago. We are fascinated by the man, if not his new music. The Purple One’s latest endeavor is the publishing world. Last year he released a £30 hardcover book of his 21 night stand in London. This year, he has followed it up with, one of the most expensive fan baits I’ve ever seen. A $2100US deluxe book of the 21 nights (again) and it comes with a Prince Ipod. The over sized, 280 silk paged, leather bound, 17KG collection is limited to just 950 copies worldwide. And let’s face it, he will probably sell them all. That’s a nice $2m in Prince’s pockets. So what’s on the Ipod? Not much. 40 minutes of footage (taken from 21×3 hour sets…) and 15 songs. It looks like an Ipod Touch. Let’s go crazy? It’s definitely extreme. I can’t see who this will appeal to, but you only need 950 people worldwide for it to be a hit.Prince is one of the very, very few artists that can attempt anything like this. I can’t see many artists being foolish enough to follow suit. Is this how the world is going? Was digital music not driving the cost of music down? The deluxe edition/fan package game is getting out of control. Along with sets like this, VIP concert packages for large shows are in vogue. Will it end? That said, if someone made one for one of my all time favourite artists, and for some strange reason I could afford this – would I change my tune? That’s a tough question to answer.